There have been quite a number of heather fires around Scotland at the moment as conditions have been exceptionally dry and cold. 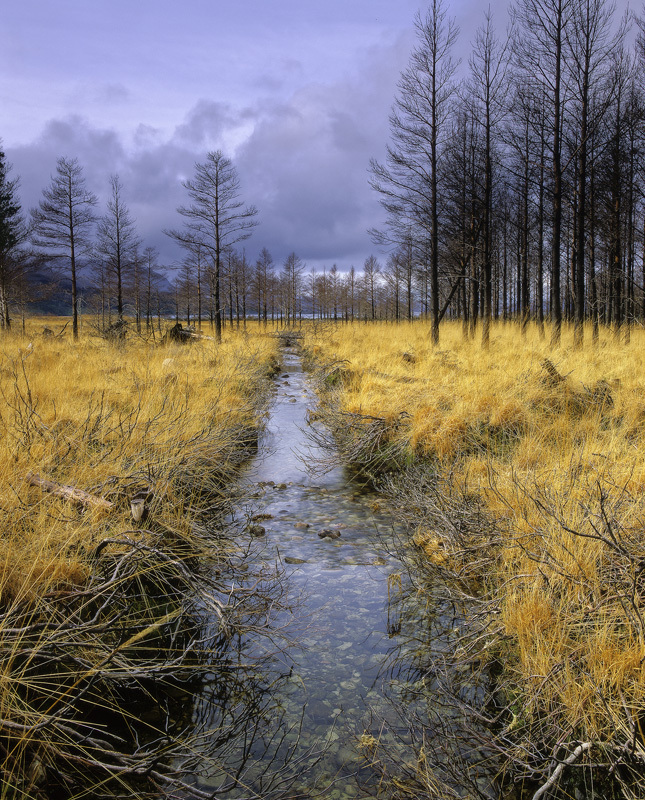 It prompted me to upload this shot of a scorched pine forest near the village of Torridon. The trunks have been charred black and have stripped the vegetation but the rapidity with which this woodland burned does not seem to have completely killed the trees. The grass has renewed itself to form a golden haze of long stemmed stalks, the blackened trunks standing out beautifully against them especially beneath a moody blue grey winter sky.